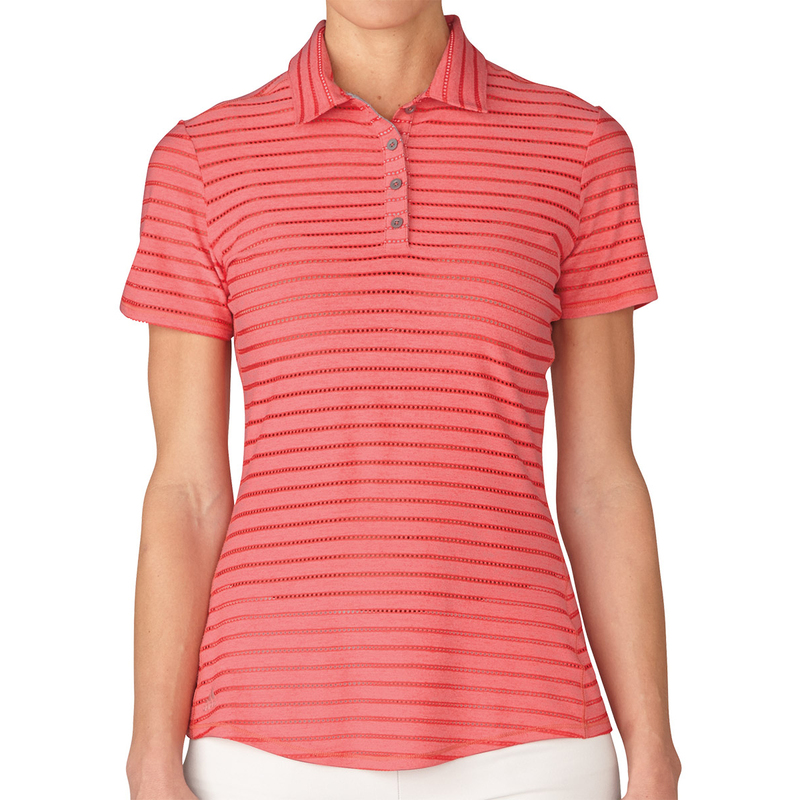 Look amazing on the golf course in the highly fashionable Cotton Stripe polo shirt. 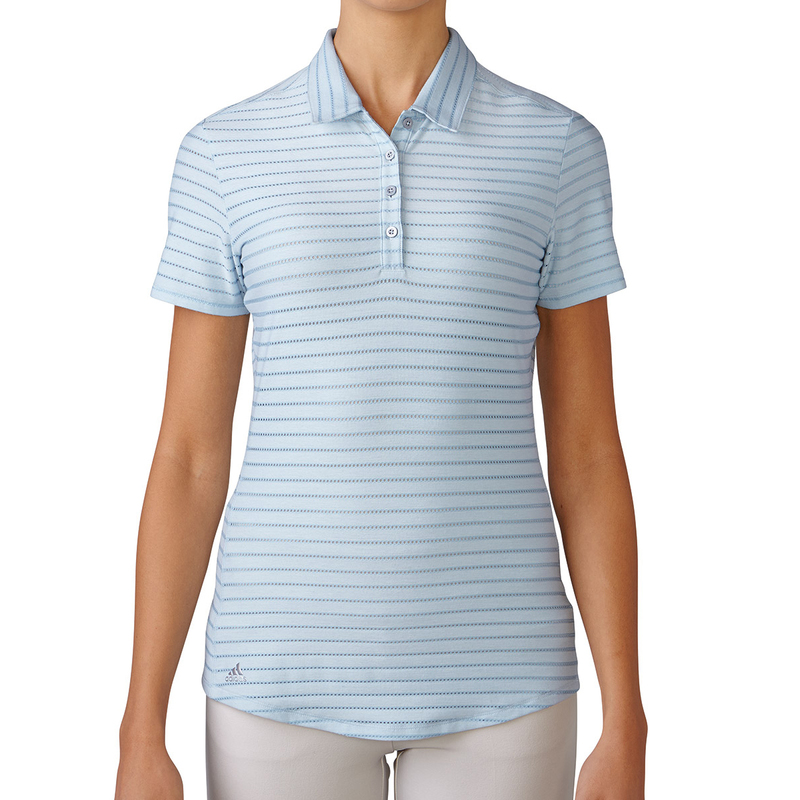 For maximum comfort the shirt has moisture wicking properties to ensure access moisture is wicked away from the body to keep you dry and comfortable. 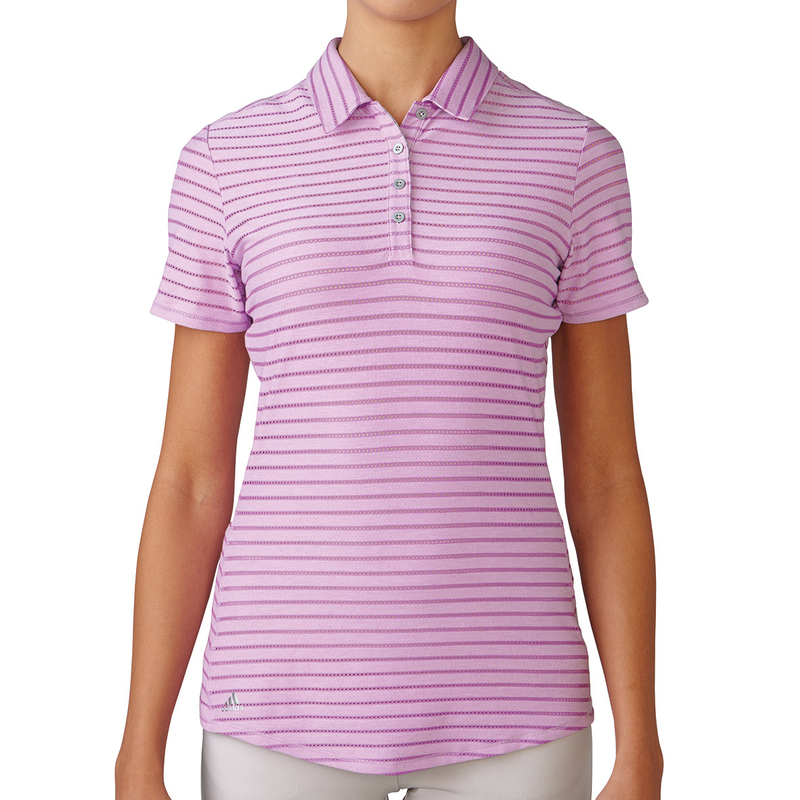 The fabric is fast-drying and has an anti-microbial fabric to stop the build up of unwanted odour causing microbes. 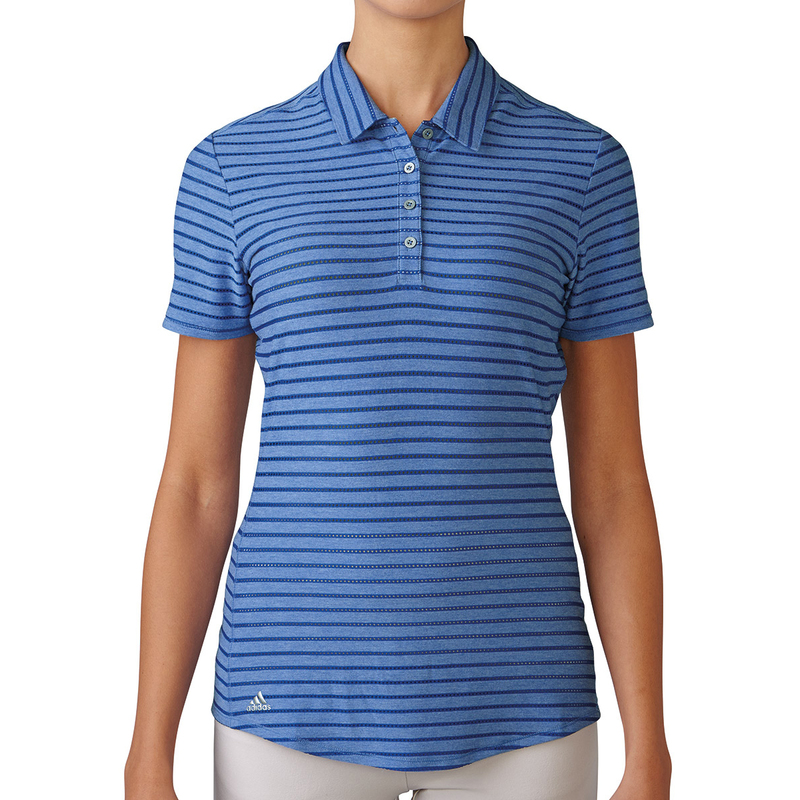 Contoured The design features a stripe detailing with soft cotton like brand-mark fabric with a classic 3-button placket and collar which is ideal for playing golf. 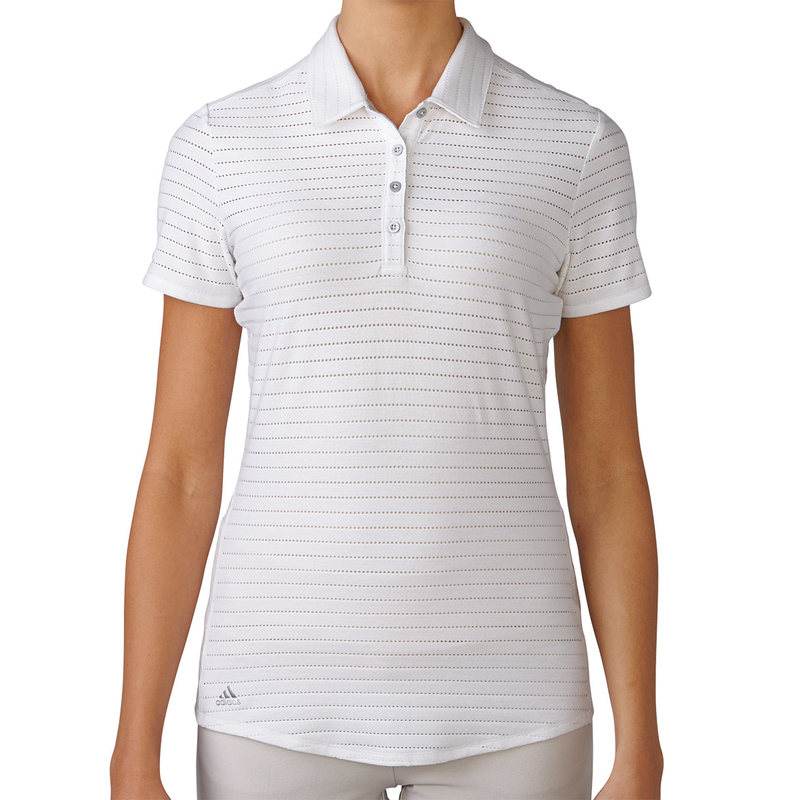 Finer details include a metallic adidas brand-mark on the lower-right hem.